An excellent guide with detailed descriptions and loads of pictures. 52pp. 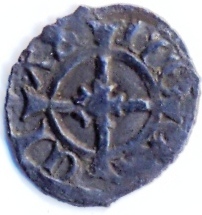 accurately identify and classify their English Hammered Farthings. Henry VII accumulated an enormous wealth and it took Henry VIII many years to squander it. Only when his resources were nearly depleted did Henry VIII seek easy solutions to guarding English coinage against competitive foreign currencies - the debasement of his coinage. Gold was reduced to 0.83 fineness and silver eventually to 0.33 fineness. 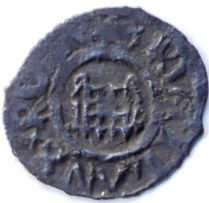 One major design change was the introduction of the portcullis/rose farthing as a means of differentiating between the farthing and the diminutive half-penny. The Hammered Silver Farthings of Henry VIII are all extremely rare - and those of the Canterbury mint excessively so. The Canterbury mint was the ecclesiastic mint of the Archbishop of York, Thomas Cranmer.². Henry's Name' BNJ 26, p. 56-89, 171-212, 290-332.